Closeout. 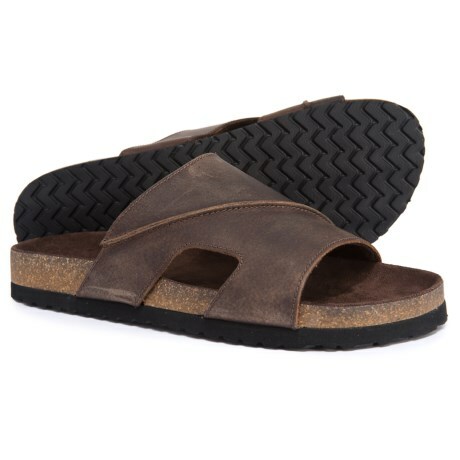 Step into the weekend in these Dr. Scholland#39;s cork footbed sandals, crafted from leather and comfortably cushioned for all-day wear. Available Colors: BROWN. Sizes: 8, 9, 10, 11, 12, 13.